Ms Georgia Tsiaoussi is a Senior Associate of our Firm and acts on a variety of commercial and civil law matters. She mainly works on cases related to data protection & privacy, new technologies, commercial agreements and intellectual & industrial property. Georgia focuses on the implementation of Data Protection & Privacy projects working closely with major corporations and assisting them to comply with the legal framework set by the General Data Protection Regulation (“GDPR”). Georgia leads “data mapping” workshops, conducts Gap Analysis and implements GDPR compliance programmes (including drafting of legal documents and consulting). Georgia participates in litigation cases and contributes in consulting upon regulatory and competition matters. 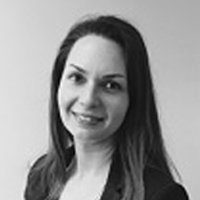 She has expertise in the tourism and leisure sector and in marketing and advertising law. Her former in-house experience makes her a business oriented lawyer and a trusted partner. © Nikolinakos & Partners LLP, 2019. All Rights Reserved.